ClearCorrect clear aligners invisibly straighten your teeth over time using medical-grade plastic. These trays can be removed for eating and cleaning and make the orthodontic process more comfortable for patients because there are no wires, brackets, or elastics to worry about. Imagine being able to enjoy an apple without slicing it into small pieces or enjoying popcorn without it getting stuck in your brackets! Using continuous pressure over a series of trays, you can see results faster and with less discomfort than traditional braces. Plus, no brackets and wires mean no sore spots on your cheeks, lips, and tongue. An initial visit and consultation with photos, X-rays and a 3D digital scan of your teeth will allow our orthodontist to determine if ClearCorrect aligners will work for you. 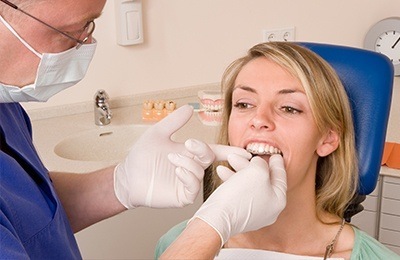 After all the preliminary work is complete, you will receive a series of trays from your dentist with specific instructions for wear – usually two to three weeks per step, at least 22 hours per day. Most people are excellent candidates for ClearCorrect® aligners. However, ClearCorrect® may not be a suitable choice for extensive orthodontic cases involving significant tooth movement. Some patients may also choose fixed braces because there are no trays that you can lose or have to remember to wear. You may discuss adding whitening to your plan, removing years of yellow stain accumulation. In some cases, the beauty of porcelain veneers lifts a straight smile to another level or may even offer an alternative to orthodontics. The smile you’ve always dreamed of may be closer than you think with flexible payment options, and surprisingly, more insurance plans are now choosing to cover clear aligners as an acceptable method of orthodontic treatment. Check with our dental office today for more information.